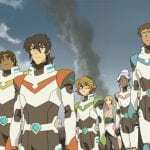 Over the course of six seasons, Voltron: Legendary Defender has depicted a war for power and peace in the universe, and the struggle comes to an epic head in season seven as the paladins return to Earth. In the 13 new episodes, characters who have slowly grown into themselves are pushed to their very limits in both mind and body, and in some of the show’s deepest and occasionally darkest moments yet, the stakes are raised to new heights and punches are not pulled. Team Voltron arguably grows closer than ever before this season, both as a team and in individual relationships. For instance, glimpses into Shiro and Keith’s past in “A Little Adventure” leads to further unification between the two in present time and offers fans an explanation as to why they have a brotherly bond. The episode shows that when Keith was young, Shiro believed in him when no one else did and got him into the Galaxy Garrison. Amid the flashbacks, Keith begs Shiro to fight for control of the clone body that’s rejecting his consciousness, leading to Shiro’s return and a tender hug between the two. As Keith said, they have saved each other, and this is an idea that has been seen in previous seasons and was seen throughout the rest of season seven. Keith continues to show vulnerability in moments with his mother, especially when she leaves to revive the Blades of Marmora at the end of “The Ruins.” Keith calls Krolia “mom” for the first time, and they say they love each other before sharing a hug. Keith may always be a bit closed off and reserved when it comes to his emotions, but his interactions with Shiro and Krolia this season have truly shown how far he’s come in terms of opening his heart to others. Keith is easily of the most well-developed characters on the show, and his story has been masterfully told. In the second episode, titled “The Road Home,” the team gets to be like a family in a very relatable, humorous way. 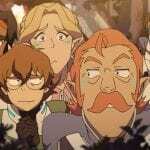 There are numerous road trip antics: arguing over which animal companions should go in what lion, Coran driving everyone crazy by singing the Altean alphabet, and Romelle touching everything she can in Lance’s Red Lion. 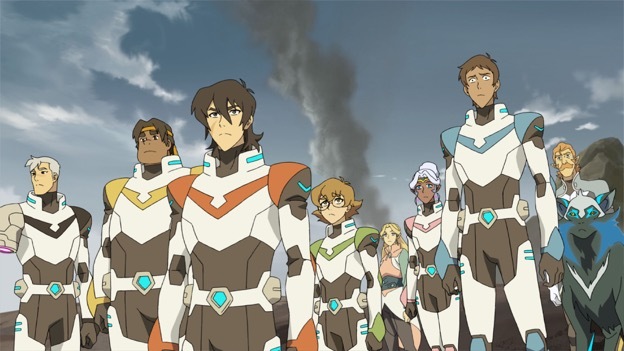 This family dynamic is one that is developed and tested as the season goes on since the team is still adjusting a bit to Keith leading, Allura and Lance piloting new lions, and Shiro being back but on the sidelines. In fact, the paladins almost reach a serious near-breaking point in “The Journey Within,” which may be the best episode of the season. “The Journey Within” takes a dark dig into the team’s core when they find themselves adrift in space far from their lions. With nothing to do but hold onto each other and wait, they battle loosing their minds. The circumstances take a noticeable toll on Keith, who lashes out and asks foundation-shaking questions about their friendships, such as who they are as a team and what even keeps them together. Such questions have not really surfaced in the show before, and it’s jarring in a good way. The questions allow for a bit of soul searching and serve as an obstacle that the paladins clearly need to conquer in order to move forward. In Keith’s moments of anger and irrationality, Hunk proves to be the glue that holds the team together. Also, Hunk’s vulnerabilities are made his strengths for a change, as he tells the team that they’re just afraid and not used to that feeling whereas he is and understands what it’s like. Later, when a space creature appears, it is Hunk saying he’ll attack while the others get away that reminds the paladins they are team. Hunk continues to shine in later episodes, which is a joy to see. Fans have long complained that the yellow paladin has been neglected and given the least character development. 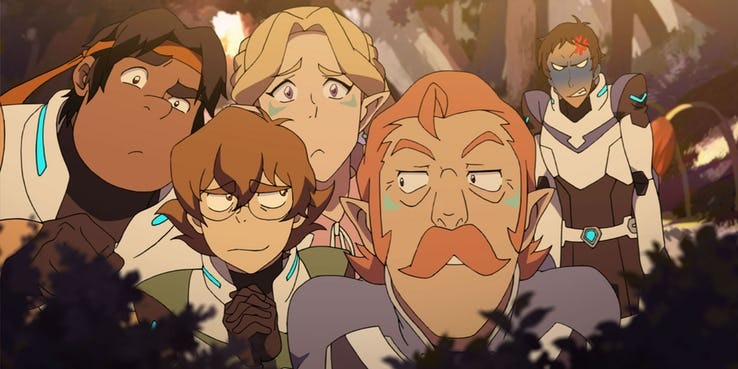 Upon the paladins’ return to Earth in “Know Your Enemy,” Lance and Pidge have beautiful family reunions, but Hunk learns his family has been taken captive. He grapples with feelings of helplessness and hopelessness, and he realizes that his long-held dream of coming home has been shattered. But with Keith’s help, Hunk finally faces his fear and resolves to do whatever he can to help his family in a touching display of strength that fans have been waiting for. The season finale, titled “Lions’ Pride Part 1” and “Lions’ Pride Part 2,” was a nail-biting fight to save Earth from Sendak, his Galra soldiers, and an extremely powerful Galra robot. The animation in the fight between Voltron and the Galra robot is stunning, particularly when they fight hand-to-hand with double swords and when they take to the sky. After a massive struggle, the Galra robot is destroyed but set to self-destruct, meaning the paladins have to carry it out into space so the blast doesn’t destroy half of Earth. As they do so, Keith says that it’s been an honor to fly with his team, and in that moment, fans know that the paladins recognize the cost of winning this fight. But when supposed death comes in a swathe of bright light, the defenders of the universe are not afraid. They stare straight ahead with determination and strength, the two things that always keep them going and that keep them alive after the explosion. It is this moment that shows why these characters are some of the best in animation right now and how much they’ve grown as individuals and as a team. Every trial and test in previous seasons prepared them for this moment of potential sacrifice for the greater good, which is something they surely wouldn’t have been as willing to do at the start of their journey. Before the final episode fades to black, it’s revealed that an Altean is the power source of the Galra robot, setting up a new, final mission for season eight. It will be interesting to see how the Altean storyline wraps up and what will be next for the paladins when all the battles are over. But until season eight comes, season seven is a beautiful and exhilarating installment in the Voltron series that can be enjoyed again and again and that proves the show only gets better each season. 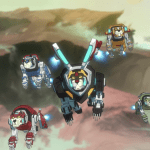 What did you think of season seven of Voltron: Legendary Defender?